Add the perfect finishing touch to your leather look with the help of this daring Leather Skull Cap Bandana. The Leather Skull Cap Bandana is a genuine leather cap that features a tie closure in the back to ensure a snug and comfortable fit. Completely made to measure, you can be sure you are getting the right size and fit. 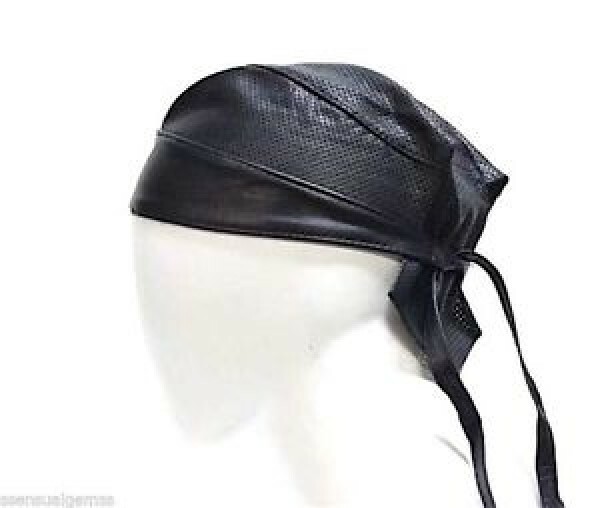 This Leather Skull Cap Bandana comes not only in classic, bold black leather but also in navy blue, light brown, dark brown, grey, green and red in order to suit your unique tastes and fashion sense.